Here in the Pacific Northwest we have more use for transitional jackets than heavy winter coats. 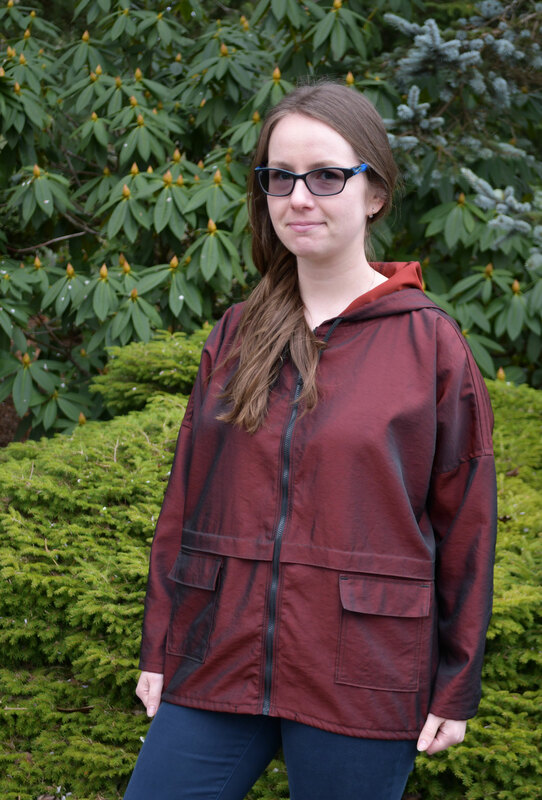 A few months ago, I got the chance to pattern test the J006 Hooded Parka Jacket from Kommatia Patterns. 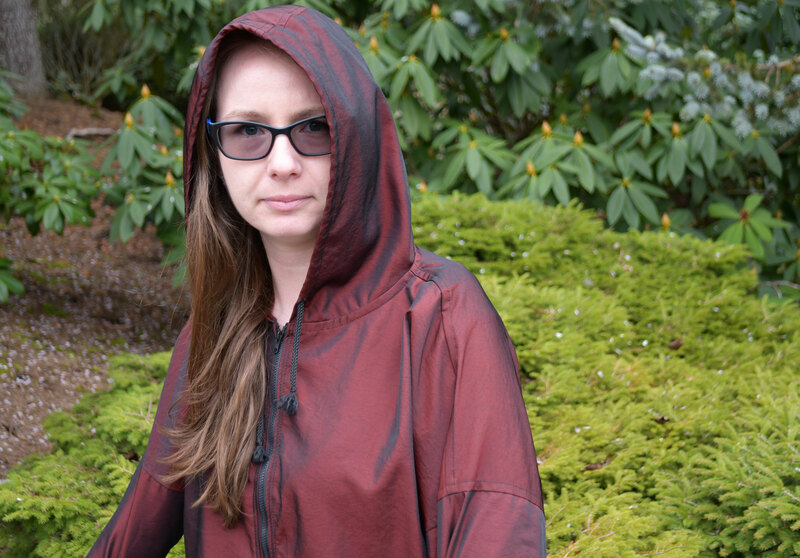 It’s an unlined zipper front jacket with a relaxed casual fit and a generous hood. Looking at all of the light weight coatings, I immediately gravitated towards the Cross Weave Nylon Twill Coating in the red and black color way. 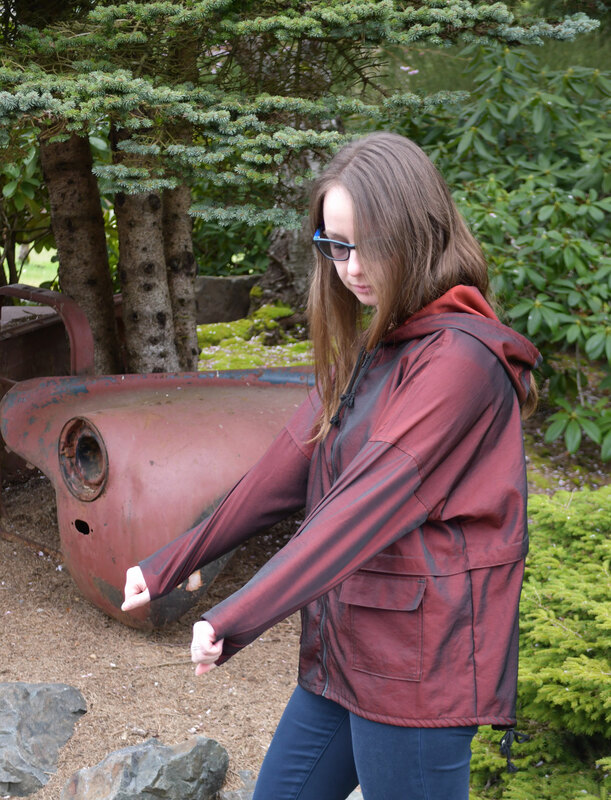 Perfect for a light weight jacket— the 100% nylon content helps keep the rain out, while the twill weave creates a duo chrome effect to amp up an otherwise laid back style! I try to make an effort to put any new fabric that comes in the house straight into the wash. For science’s sake, I measured my yardage before and after washing & drying, following the recommended settings (Machine wash cold, tumble dry low) to see if there was any difference. There was the teeniest bit of shrinkage lengthwise, from 84.5” down to 83”, but nothing too dramatic. I cut out the pattern pieces with the fabric folded, wrong sides together, using a combination of a rotary cutter and scissors. There was a little bit of squirming between the two layers, but going slow and not rushing this step kept things under control. The only alteration to the pattern I made was to shorten the body and arms by 3”. I’m 5’3”, the lowest end of the drafted height range. I prefer to have my jackets cover my bum without turning into a dress. 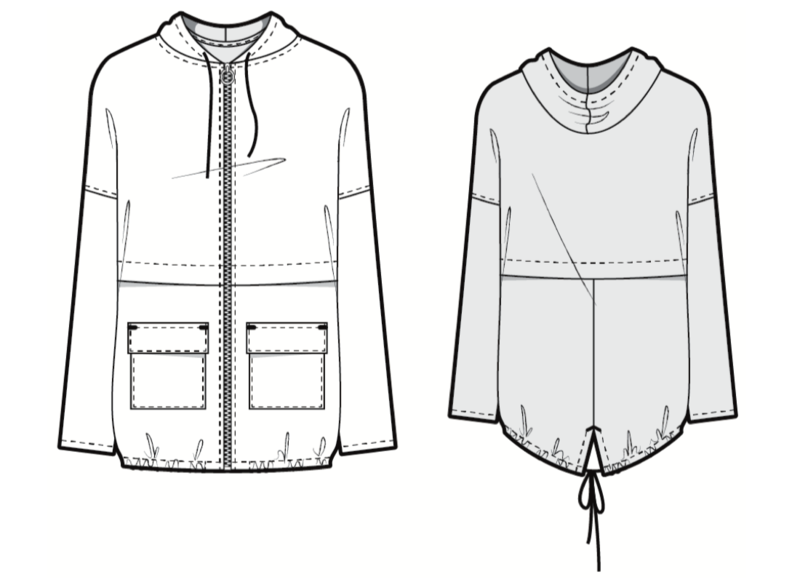 I decided to take out all the length below the waist pleat since that measured at my natural waist, but next time I think I would split this length reduction above and below the waist to keep the designed proportions and maintain more room for the pocket. Using the cutting scraps, I tested out how my stitches looked. I tried out universal needles in sizes 60/8, 70/10 & 80/12 and sharp needles in sizes 60/8, 70/10 & 80/12. I liked the look of the sharp needle over the universals, and the size 60/8 seemed to better than the 70/10 and 80/12. This isn’t to say that a universal or the larger size didn’t make a decent seam, but the sharp 60/8 seam had the least obvious effect on the fabric in regards to visible puncturing and rippling. As always, do your own testing before the start of your project, but sharper and smaller seemed to work best for me! Since the jacket is unlined, I decided to serge all the insides in black to finish things up. I made sure to change my serger needle to a Sharp 60/8 as well. 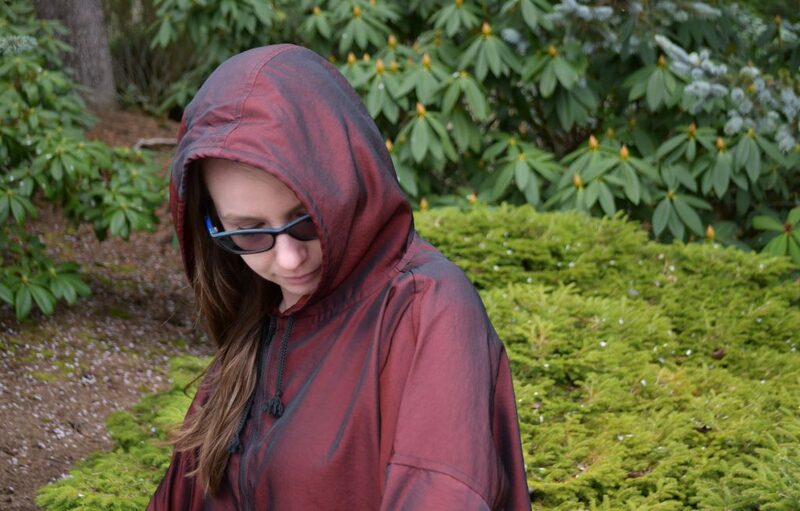 My serger can be finicky sometimes with lighter weight fabrics, but this coating went through like a dream. My final test before I got into the actual fun part (the sewing!) was checking my iron settings. Using scraps again, I started off using a low/nylon setting. This created a fairly soft crease. I decided to try the next temperature up, labelled for silks on my iron, to see if I could get a sharper press without making a melted mess. 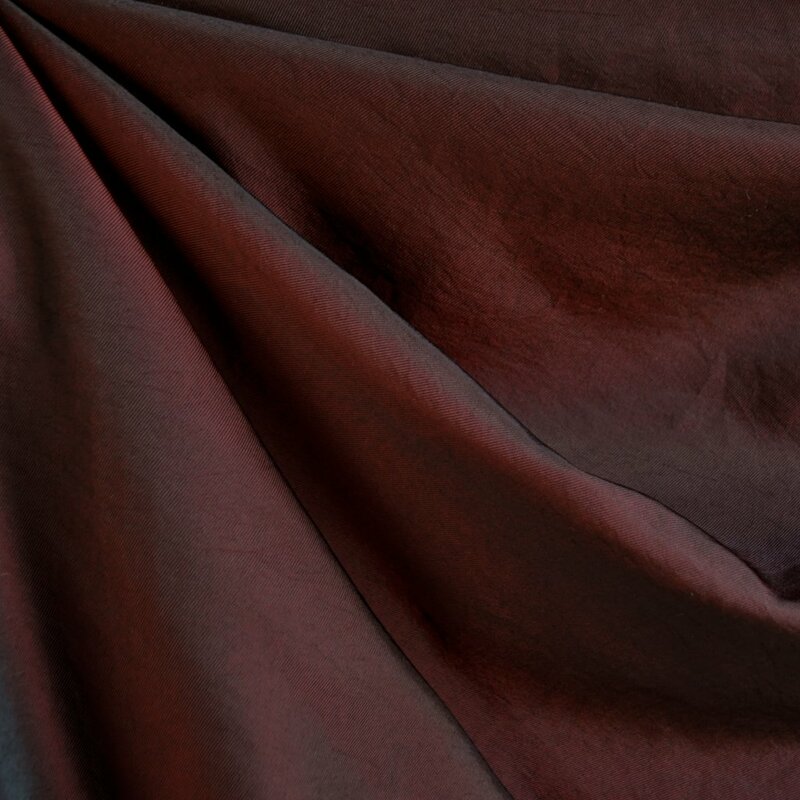 The silk setting seemed to work just fine, making a sharper crease without any disasters. Irons are individual snowflakes, so test using your own unique unit to make sure there are no issues. The fabric didn’t hold a crease after ironing, and steam didn’t help because doh, this fabric is water resistant, but with careful handling between the ironing board and sewing machine, you can manage. One thing to note, this fabric is slippery on the ironing board!! There was more than once that the whole thing slid off while I was readjusting and happened to have both hands occupied. You are warned! This coating sewed like a dream! I was expecting things to be a bit squirmy like when I was cutting pieces out. As I started sewing, the opposite happened! The 2 pieces were gripping together! I realized that the twill weave helped prevent things from sliding around. It was at this point that I realized I had cut everything out wrong sides together, my usual, and the wrong side’s smoother texture slips around when held together. If I had just folded the fabric right sides together before cutting, to take advantage of the rougher twill texture, I probably would have eliminated some, if not all, of my squirming issue. A revelation, come too late! One thing that was trickier was manipulating and easing the fabric around sharper curves, like the double turned shirt tail hem. I redid the hem several times before I was satisfied with the results. This coating has very low stretch on the bias. I don’t know if I depend on natural fibers “flexing” a bit more to help me around the curves, or if I am used to pressing and steaming out the occasional ripple, but with those crutches gone, I struggled with these curves. My suggestions would be A) pick a pattern that doesn’t require a lot of easing or manipulation around curves, B) opt for bias tape or facing rather than turned hem on the tighter curves and/or C) be a better sewist than me. In the end, my hem wasn’t that important because I put a drawstring through the whole thing, but still something to note. And that’s it! I really liked working with this pattern and fabric combo, and I’m really pleased with the final results. I have a lot of burgundy and black in my wardrobe, so this cross weave covers both of these colors! Next time I think I will alter the pocket pattern so it’s slightly bigger and can accommodate my phone. This jacket has already gotten some heavy use this spring and is my go-to piece for a light outer layer. Overall, it is a great addition to my handmade outerwear wardrobe! P.S. Looking for other spring jacket inspiration? 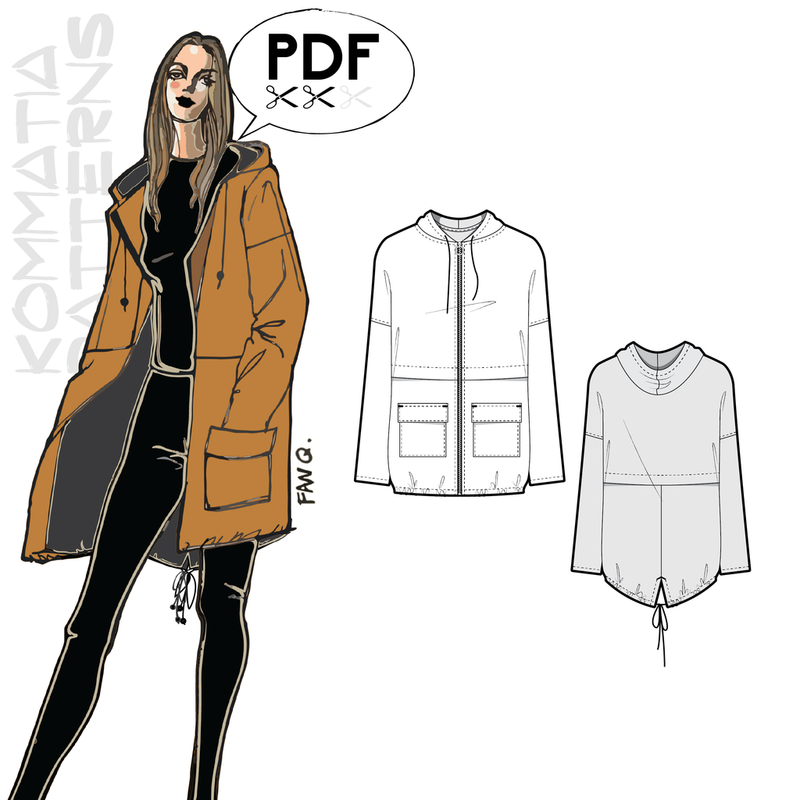 Check out our spring tulip trench coat and soft shell Kelly Jacket for two more great options. We also put together a Spring Outerwear collection with great fabric, patterns and trims to pair together when creating your own look. You look like an excellent sewist to me! The fabric is really interesting and looks great on you! Your hints are much appreciated! I experience the same issues! Oh wow! 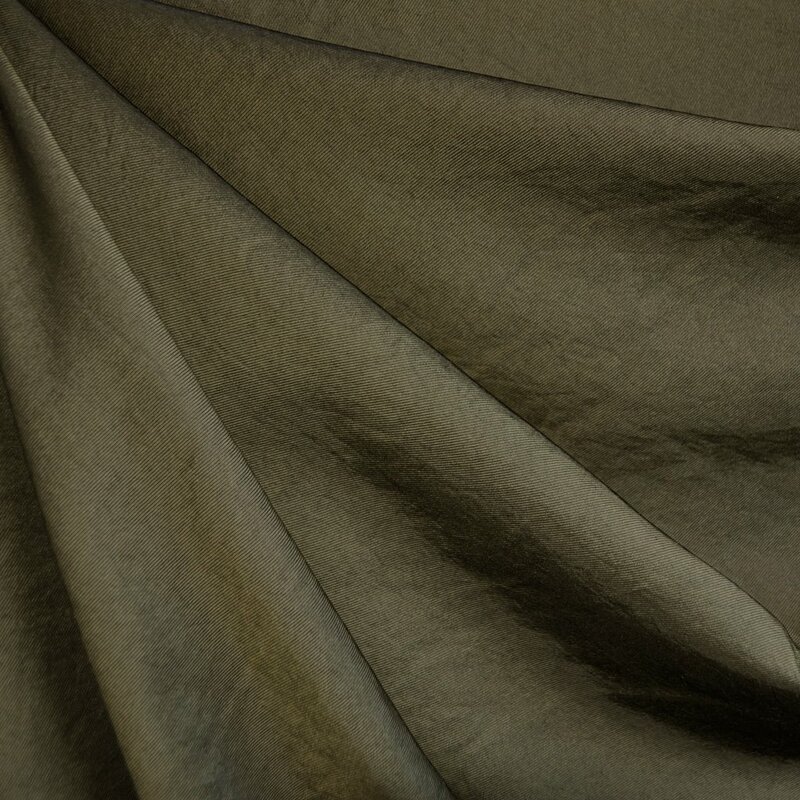 I have been considering making the LoneTree jacket out of this exact same twill. IndieSew have a fabulous Autumn collection that also includes Itch-to-Stitch’s lovely Bonn shirt, Sew House Seven’s Toaster sweater & Chi Chi’s pants & skirt. 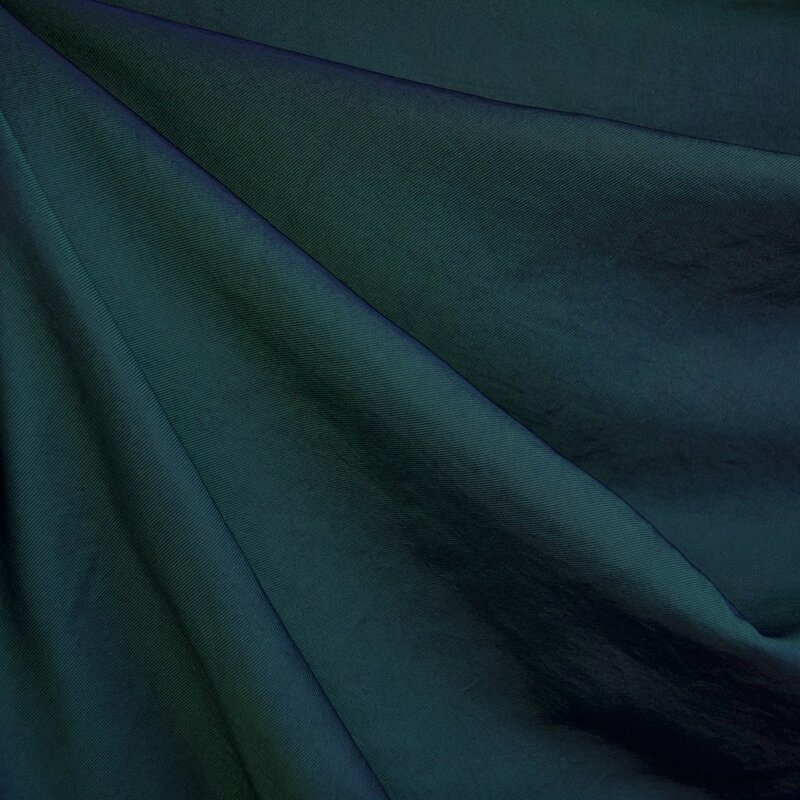 So thank you so much for the hints regarding how to fold the fabric when cutting, and also to avoid curves with this fabric. I’d be interested to hear about the fabric’s water-repulsion properties, in action. I would most likely use it with an umbrella since our rain seems to come in at all angles, and initially the downpour can be super-heavy. What a great looking jacket and love the red/wine color. I am finding good success using a clapper when ironing, especially at low settings. : iron the seam; press and hold the clapper for about 5 seconds.